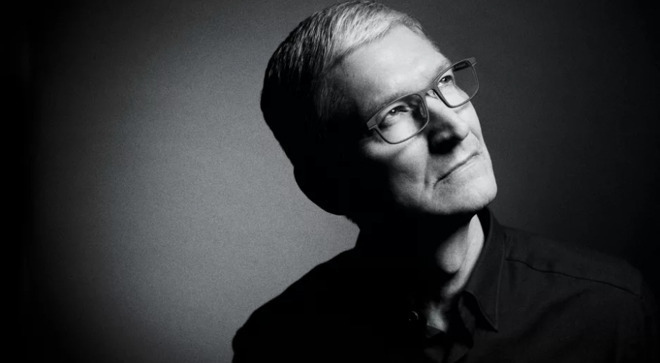 Apple CEO Tim Cook will be deposed on June 27 as a part of a Qualcomm countersuit against the tech giant, accusing Apple of lying to regulators in order to spark government investigations. A deposition was originally supposed to happen before May 11, but the two companies couldn't find a convenient date, according to a court filing seen by AppleInsider. The motion was signed by parties involved in the suit, including Apple suppliers Compal, Hon Hai/Foxconn, Pegatron, and Wistron. It's rare for Cook himself to become involved in the company's legal battles, which are normally fought by the general counsel and hired attorneys. The legal battle between Apple and Qualcomm kicked off in earnest in January of last year, with Apple launching a lawsuit charging that Qualcomm withheld $1 billion in payments as retaliation for cooperating with antitrust investigations. The situation gradually escalated into a number of suits and countersuits worldwide, as well as actions by national governments. Apple and governments alike have accused Qualcomm of forcing companies buying its chips to also sign patent license agreements, and allegedly charging excessive amounts on standards-essential patents. For years, up until the release of the iPhone 7, Qualcomm was Apple's exclusive supplier for cellular modems — it had expected rebates in return, which it says were unfairly denied. Another core Apple argument is that it's unfair to charge royalties based on the price of a complete device versus what Qualcomm's parts contribute to the whole. In the case of the $999-plus iPhone X, that can amount to substantial sums. Starting with iPhone 7, Apple began diversifying its modem supply, adding Intel to the mix. That proved controversial after tests showed Intel's initial modems were slower than their Qualcomm counterparts, and that Apple was deliberately limiting the latter to equalize performance between the models. The situation is set to change, however, as Intel's technology catches up with the competition.